A professional teeth cleaning at our Northampton, MA, practice will not only brighten your smile. It will also help to protect your teeth against decay and gum disease. When you visit Northampton Family and Cosmetic Dentistry, your cleaning will be gentle, efficient, and virtually stress-free. 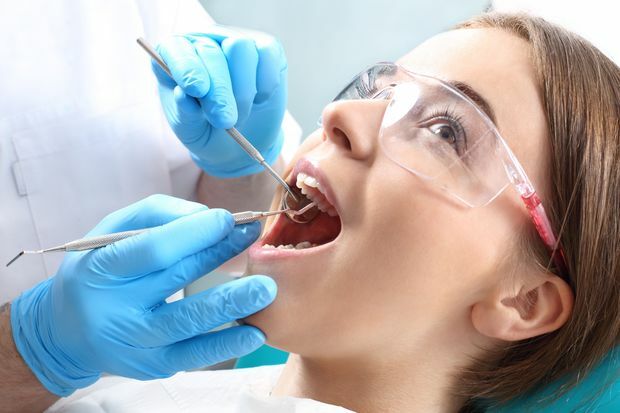 Nonetheless, if you struggle with dental anxiety, we can also provide nitrous oxide to make the process even more comfortable. In addition, Dr. Teddi Olszewski and her team believe in the importance of patient education. After your cleaning, they will show you how to maintain proper at-home dental care and discuss any areas they found that require treatment. Professional cleanings are the only way to remove hard-to-reach plaque and tartar. The primary goal of a dental cleaning is to remove harmful oral bacteria. Eventually, microbes will form sticky plaque on the teeth which will harden into tartar. You cannot remove these substances on your own, even with diligent brushing and flossing. When you eat, the microbes will interact with the starches in your foods, simultaneously producing acids. As the acids erode your enamel, the bacteria will be able to access the deeper levels of your teeth, and cavities could form. Left untreated, the bacteria could even reach the soft pulp in the center of your teeth, leading to infection and requiring root canal therapy. A professional cleaning can dramatically lower your risk for decay and gum disease, which can lead to tooth loss, toothaches, and chronic bad breath. Excess bacteria can harm your gums, as well. Initially gathering along your gum line, they will cause mild inflammation. At this point, a routine cleaning can eliminate the bacteria and restore your periodontal health. However, if you neglect your dental care, they will move deeper into your gums, and you will develop irreversible gum disease. A cleaning is a simple and efficient process that will take place in conjunction with an exam. Typically, your visit will begin with x-rays. Then you will proceed to the treatment room, where your hygienist will use a small instrument to eliminate plaque and tartar. With her meticulous techniques, you should experience negligible discomfort. When your teeth are completely cleaned, she will use a rotating instrument and special toothpaste to polish them. Finally, she will clean between them with floss or a water pick, depending on your needs. In some cases, she may recommend additional preventive treatment, such as sealants or a fluoride supplement. After your exam with Dr. Olszewski, we will discuss your daily hygiene. If needed, we can help you make improvements to protect your oral health. For instance, we may teach you new, more effective ways to brush your teeth. We may also recommend dietary changes or specific toothpastes. There is no doubt about it – routine dental visits are essential for maintaining good oral health. Because you cannot eliminate plaque and tartar on your own, a professional cleaning is the only way to eradicate these substances and dramatically lower your risk for decay and gum disease. In turn, you are less likely to suffer from tooth loss, toothaches, and chronic bad breath. Because an exam will take place at the same time, we can look for the first signs of serious dental concerns. Not only will we check for cavities and tissue inflammation. We will also look for misalignment, dental erosion, and potential symptoms of oral cancer. Since a cleaning can have such tremendous importance for your oral and physical health, you should schedule an appointment at least twice a year. A dental cleaning is an easy way to ensure lifelong oral health and a beautiful smile. Contact our office online or call (413) 584-2902 to book a visit.